It has been said that we have a “mini-revival” going on. This has been an exciting season in the life of the Philadelphia Baptist Association. The bonds between our congregations are strong and we gather with regularity to share in the call of Christ for each of our congregations. Each of our ministry initiatives receive a good level of support from member congregations. Our people gather for meaningful conversations and networking opportunities. We are listening carefully to one another. A new level of energy in our midst is obvious, none more so than that in our recent Annual Meeting. 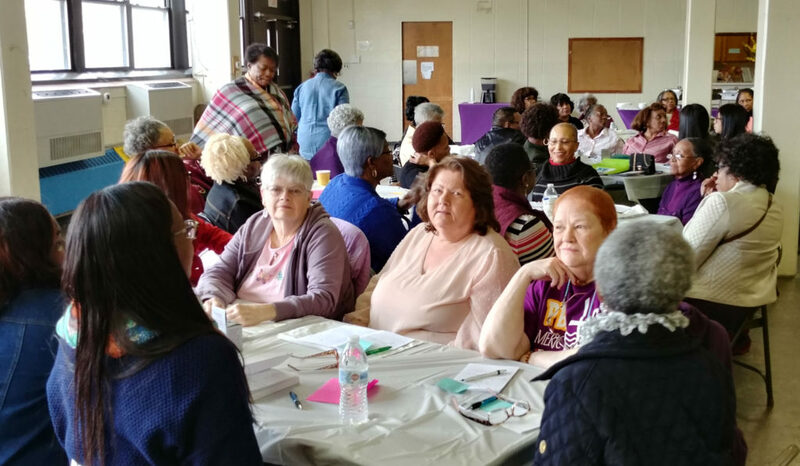 The level of enthusiasm among the participants was high and the fellowship hour was buzzing with laughter and praise for an outstanding time of worship and learning. Look at the information below to get a glimpse of what is going on in our Region and if your congregation is not actively participating, please join with us in this vital ministry of 311 years. If you have any concerns with the work of the PBA we will be glad to learn of them. We gather during the Annual Meeting as an expression of being the body of Christ. We gather that we might be together as autonomous congregations of a common bond in Christ Jesus. The focus of our 2018 Annual Meeting was on Music and the Arts in the life of the congregation. 134 persons representing 37 congregations were in attendance on 5/5/18. We are engaged in the mission of Christ, as His church, and we celebrate committed service and sharpen our vision as missional congregations during our Mission Banquet. We say “thank you” to dedicated congregation members and we focus on aspects of Christian service. 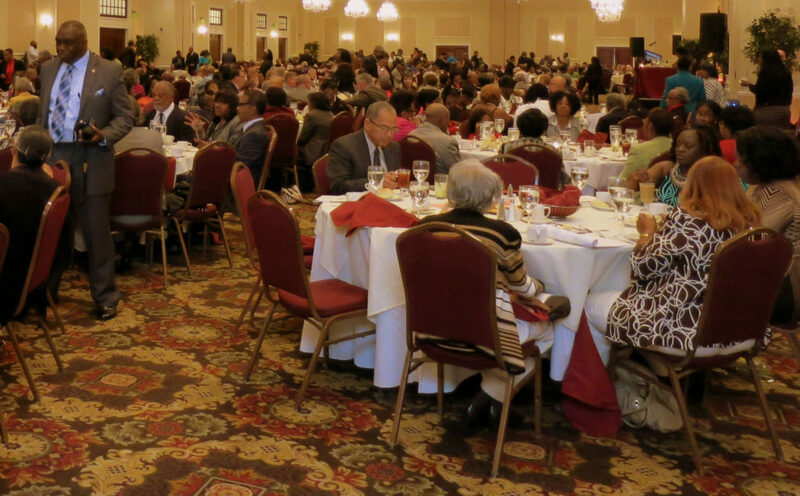 The average attendance at the Mission Banquet is 400-500 persons. We participate in Missiological Conversations for reflection to discern the direction and leading of the Spirit for the church today. Our focus for 2018 was civil discourse and the response of the church during a time of intolerance, supremacy, misogyny, and deliberate polarization of our nation. 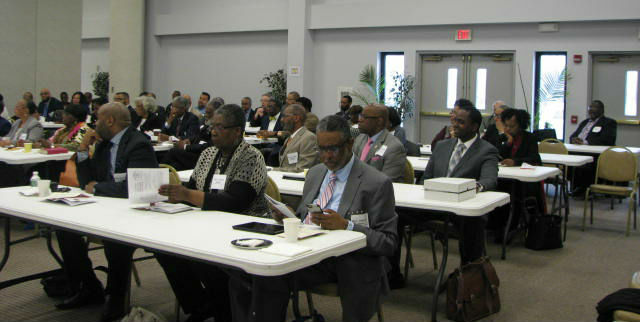 There were 45 Clergy in attendance. We gather in the Mission Café setting to collaborate and network on mission initiatives. The focus for 2018 was the intergenerational church and engaging Millennials. There were 60 participants in attendance. Through staff supported Area Ministry, we assist congregations in effectively addressing transitions in congregational life. The Board of Directors and Ministers Council has participated in the development of a PBA Manual for Interim and Transitional Ministry that will be distributed this fall. At present, our transitional churches are: Calvary-Norristown, Church of the Redeemer Baptist, Corinthian, First-Levittown/Fairless Hills, First-Philadelphia, Grace-Blue Bell, Millcreek, Mt. Zion-Germantown, North Wales, Second-Germantown, Wayland Temple, Zion-Philadelphia. We join together for the purpose of ordaining disciples that have grown in the faith within our local churches and have been called to service as Baptist Clergy. We delight in welcoming Baptist congregations into our community of believers. In the fall of 2017-2018, we have assisted in two ordinations and have welcomed one new church into the Region. Our Ministers Council is a place of connection, accountability, spiritual formation, continuing education, and fellowship for our Clergy. There are 20 clergy who gather on a quarterly basis. 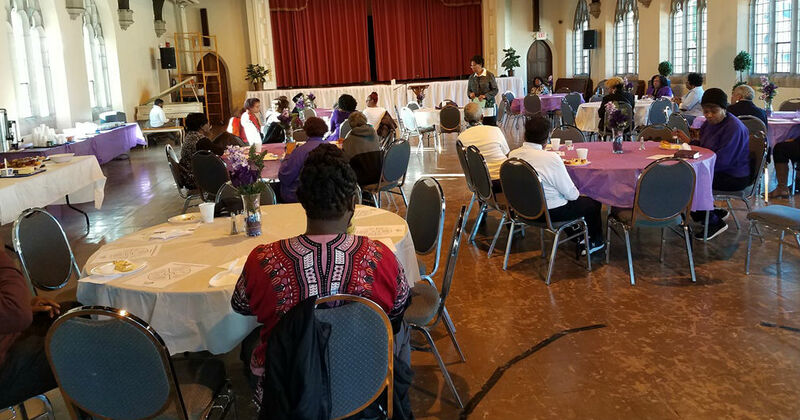 The topics for 2017-2018 were: Prayer Breakfast; Recommitment to The Baptist Principle of Association; Stigma & Cultural Mistrust, Overcoming the Hindrances to Help-Seeking Practices Among American Pastors & Their Spouses; Spirituality & Conflict Resolution, A Study of the Life & Teachings of Dr. Howard Thurman; Voted Co-Sponsorship of the Missiological Conversation; Continuing education scholarships (periodically announced at meetings); Equipped to Serve: Guidelines for Pastoral Transition in the Philadelphia Baptist Association. 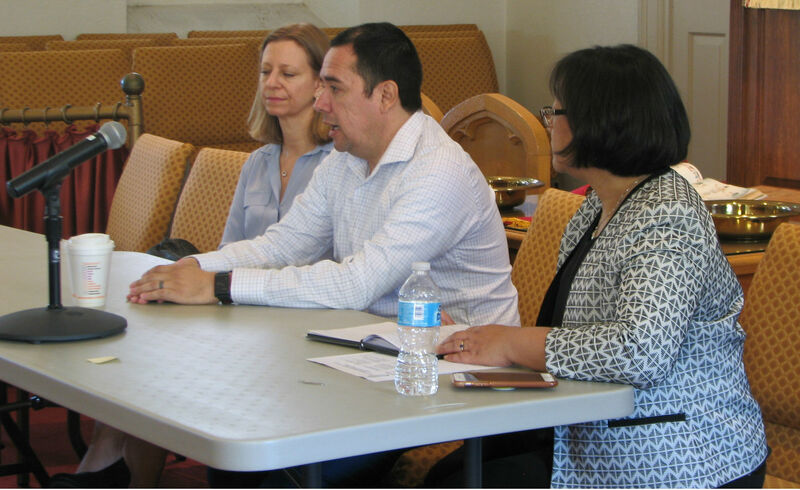 On Thursday, June 15, 2017, the Philadelphia Baptist Association invited PBA pastors and other interested persons to attend a “Café Conversation on Immigration & Refugees.” This forum offered an opportunity to learn how PBA churches can be engaged in supporting communities that are “under siege”, as immigration reform is contested in our governmental policy. A second meeting was held on Saturday, December 9, 2017 at Second Baptist Church of Germantown to assist persons concerned with deportation from our Haitian congregations. 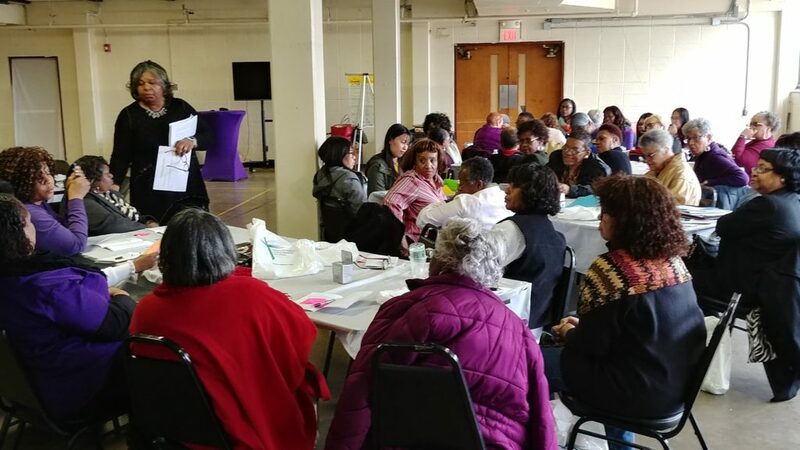 Women in Ministry– Rapid Growth in ABWM after an investment in the D. Min. Project and leadership of the ABWM President/Council.